What is a Growth Plate Injury ? When it is suspected that a child has broken a bone it is important to determine whether or not the growth plate has been injured. But what is a growth plate? And what does it mean if the growth plate is injured? Growth plates are special areas along the bone that allow for growth. These areas along the bone are actually cartilage that generates new cells which, in time, form bone as children grow. These areas are fragile and are easily injured. When a growth plate is injured continued growth at that site may become impaired which is the reason it is important to follow any injury to a growth plate carefully. Growth plates are cartilage and they are seen as black lines on an x-ray. It is often not possible to see growth plate injuries on an x-ray unless the injury also involves bone. If a child has an injury and it is suspected that there may be a break or a sprain, it is important to have an initial x-ray and examination to determine whether or not stabilization of the injured area is appropriate. If the area is very painful and there is swelling, it is often difficult to determine at the time of injury whether the growth plate has been affected. As a result, when a child has pain around a growth plate after a traumatic injury it is standard practice to assume there is a growth plate injury and treat it as such. At Suncoast Urgent Care it is our practice to schedule a follow up examination in 7-10 days after the initial visit. 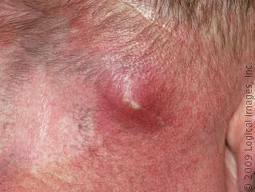 During this time much of the pain and swelling from the injury (e.g. : ankle sprain) subsides. When the patient returns for a repeat examination it is often much easier for the examining physician to determine whether the pain is coming from the bone, growth plate or ligament. Allowing time for recovery allows us the opportunity for a clearer, and thus more accurate exam. 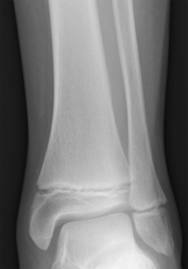 If appropriate, a follow-up x-ray may be indicated to help determine which type of injury has occurred.